We are so close to being able to say goodbye to our Satellite and Cable TV providers who over charge for too many channels that most people never watch. With a service like PlayOn TV we are getting even closer. 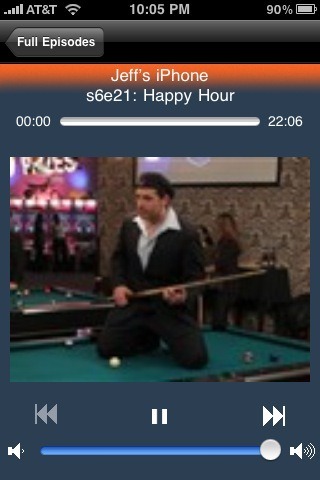 And forget about playing Flash video on an iOS device, unless of course you have the PlayOn TV app. 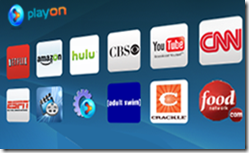 PlayOn TV will stream TV from sources like Netflix, hulu PLUS, Major League Baseball, Amazon On Demand and even the TV networks web sites to your TV. 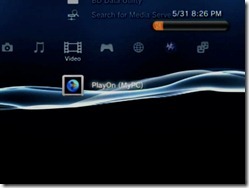 The only thing you need is a Windows computer on a high-speed network and a networked media device like a gaming system, which many people already have. I tested it using my Wii and my DirecTV HR20 DVR. First, download the software. 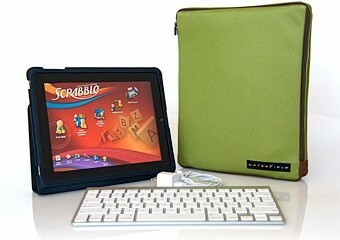 It is free to use for 14 days after which it is $39.99 for the first year and $19.99 thereafter. If you like, you could instead pay a one-time charge $79.99. 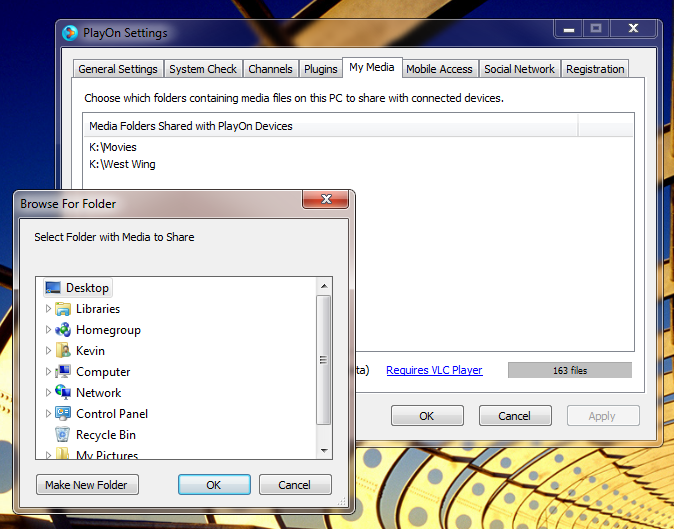 There is a free version but it only plays music from Pandora or your own content in a folder that you point the software to on the My Media tab (see image to the right). The software runs in the background on your Windows computer. 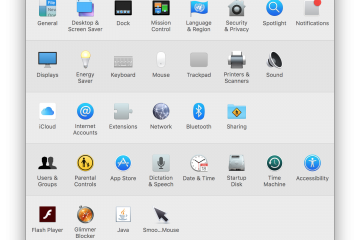 On Windows 7 it just shows up in the lower right corner (system tray). 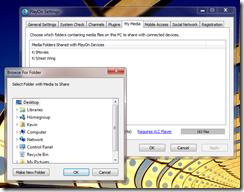 Double click it and the configuration screen is displayed. It is a good idea to read the User Guide to figure out what you will have to do to configure things. But for the most part it should run out of the box. Make sure that you select all the check boxes on the General Settings Screen (except for the Parent Control boxes, unless you feel the need to filter adult content from young people. If the box in the upper right is green and says running, that means everything is working and should function as planned. To double-check, click on the System Check tab and be sure all four boxes are green. The next step is add content. You do this by installing Plugins. 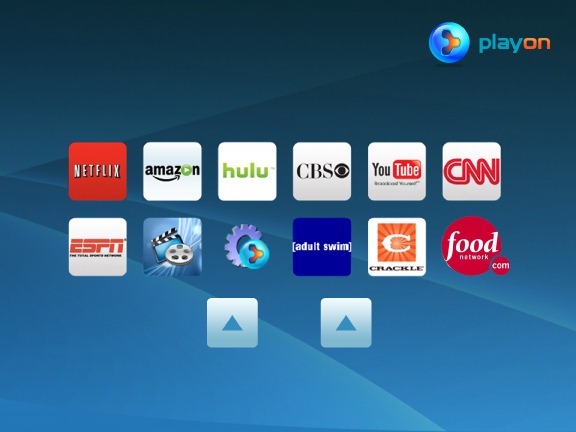 The easiest way is to install the supported plugins from PlayOn TV. Some are already installed for you. 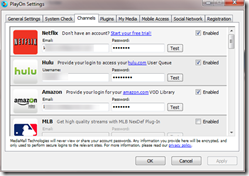 You may need to add your login information for premium services like Netflix and hulu PLUS. 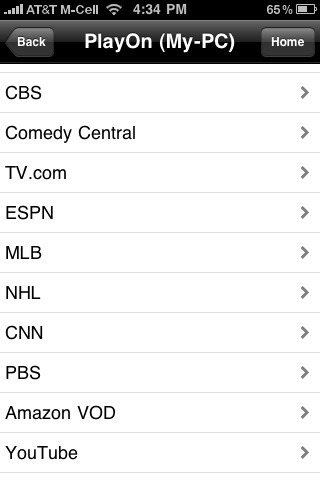 Revision3, the great tech Internet channel, has a plugin as does NBC, CBS, NFL, Food Network, SyFy and more. 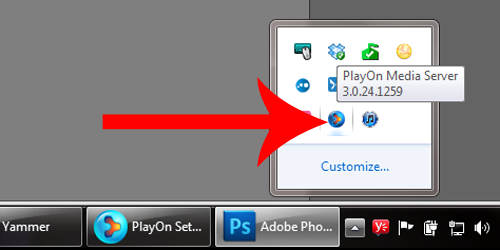 If you are inclined you can create a plugin. There is info about that on the plugin page. 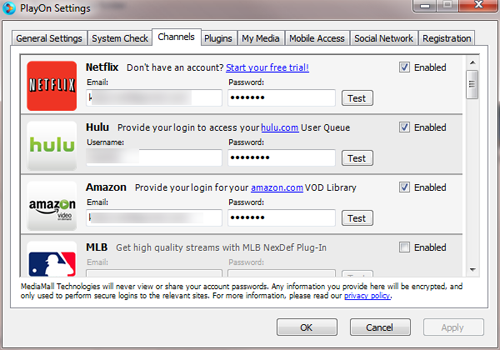 Once you have some plug-ins installed and your information is added for logging in, now you have to configure your device. For most, this doesn’t require anything. My DirecTV HR20 DVR was working right away without any configuration. The only requirement is the device must be on the same network. 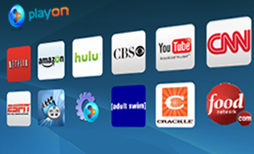 The list of supported devices is at PlayOn.TV. 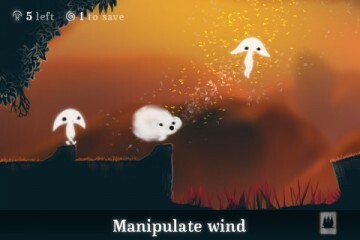 Wageman also informed us that there is an update to the app that is coming soon which will make it a universal app working on both the iPad and iPhone/iPod Touch at each devices native resolution. If that is not sufficient, iPad users can use the mobile access site which will play video at the native resolution of the device. See below for my experience on the mobile access site. An Android app should be out early next year. 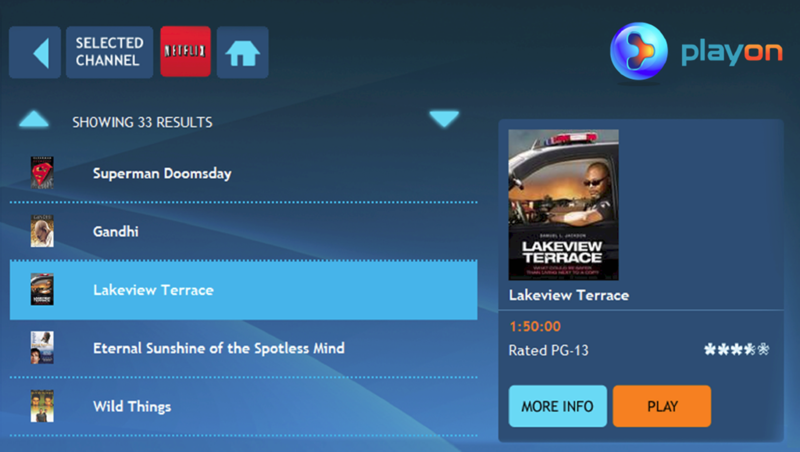 Also compatibility of the mobile access web site for Android will be added then. Other mobile device apps are not in the works at this time. 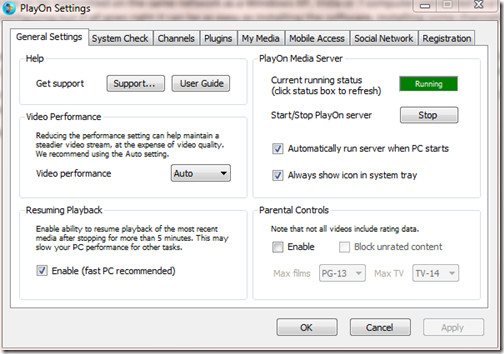 If the device you are wishing to watch is supported and works, then all you have to do is go into the interface and begin watching. 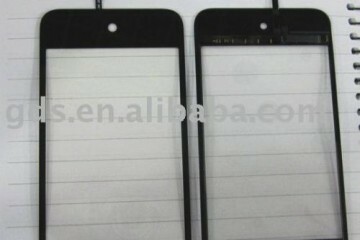 Here are some demos from the company for various devices. In my video review I show it on the DirecTV HR20 DVR and on the iPad. 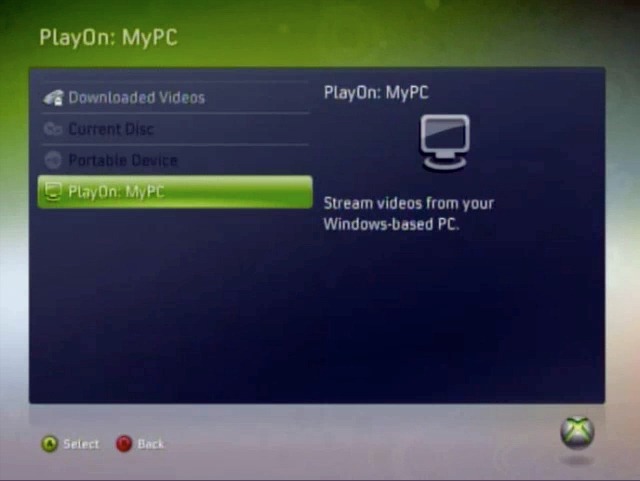 There is still one more way to watch PlayOn TV content. It is called Mobile Access. 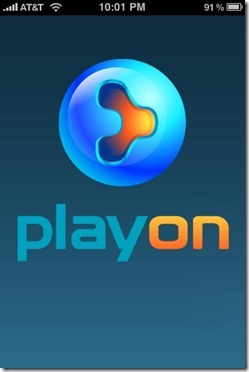 If configured properly on the Mobile Access tab, the service will stream content when a user goes to https://m.playon.tv. 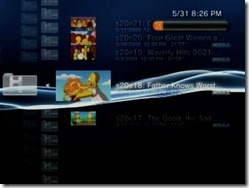 Your network router will have to support Universal Plug and Play, a feature that allows devices and services like PlayOn TV to poke a hole through the router’s security just for this service. If it doesn’t work automatically, you may need to manually configure it to work. I had to do this by forwarding port 57331 to my PC’s IP address. If that all sounds like Greek to you, then it would be best to get a friend who understands such things to set it up for you because it is different on every network router. 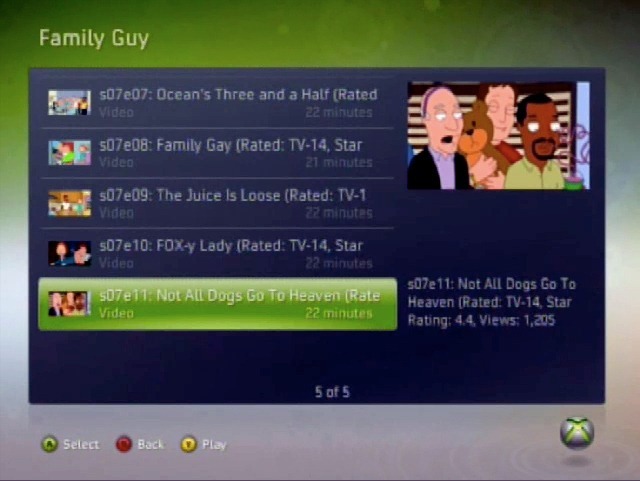 The issue of having to manually configure port forwarding shows that PlayOn TV can be a great alternative to watching streaming video from the Internet on a computer, but also can be a maddening service that only Geeks or someone who has access to a Geek can set up. 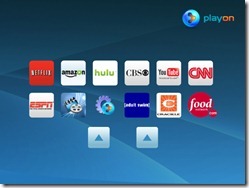 It solves the problem of how to get content from the Internet to the TV. 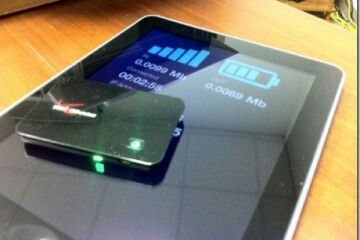 And it also solves the problem of how to get Flash video onto an iOS device. But it is not perfect. In my tests I had some problems with content not streaming when I wanted it to. Initially I had difficulty configuring it to work on my network. And the Mobile Access service didn’t work for me out of the box so I had to manually configure it, a task that is not something the average user will be able to do. If you have problems like I did, be sure to visit the support page or the user forums. 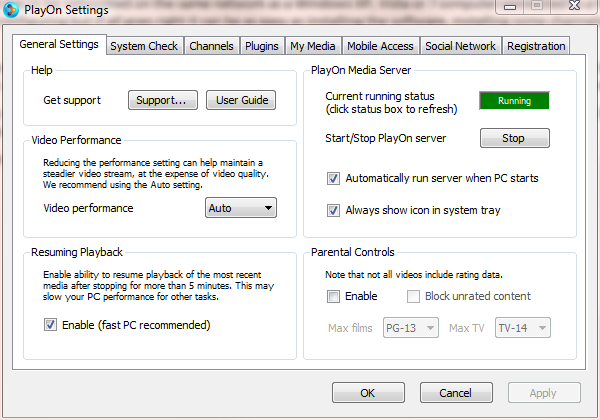 Or just click the support link on the first tab inside the PlayOn TV configuration software. The good thing is you get 14 days to test things before you have to pay. A little effort on the part of a tech savvy user can result in Internet streaming video on all of the TVs in your house. 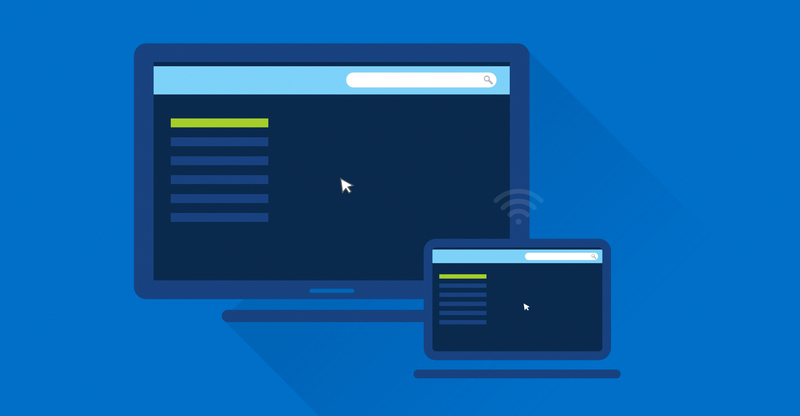 If you have more than one TV then you can get service similar to a Roku Box or a Google TV without having to buy more than one of those devices. And you can watch Flash video on your iOS device from sources that don’t want to play nice with the likes of hulu or Netflix.